A senior Google employee told me that the search engine kept ahead of the competition via a process of rigorous prototype testing. At the time we spoke, prototypes were tested "offline" by measuring the reactions of hired test subjects to particular features and designs. But soon testing moved "online" and we all became the subjects of A/B tests. Teams are charged with the goal of increasing the user measures. If a small tweak tanks, it's dropped. If it triumphs, it's launched. The decisions are made by statistics, not managers. Indeed, advocates of A/B testing stress the importance of ignoring the views of managers, which they call HiPPOs – the Highest Paid Person's Opinions. This acronym was coined from tales such as that of Greg Linden, an early Amazon employee. Linden suggested that, just as supermarkets put magazines and snacks by the checkout queue, Amazon should adopt the same approach with its online shopping carts. He recalls that a "senior vice president was dead set against" the idea, fearing it would discourage people from checking out. Linden ignored the HiPPO and ran an A/B test. The results showed that Amazon would make more money and not lose customers, so Linden's idea was launched. A/B tests have proved to be more accurate, faster and less biased than any HiPPO. There are also limits to what A/B testing can observe. The testing relies on measuring user input, mouse clicks, typing, spoken commands, or taps on a mobile screen. Spotify recently asked if someone has a playlist on in the background and they aren't interacting with their phone, how can Spotify measure if the user is satisfied? No one currently has an answer. 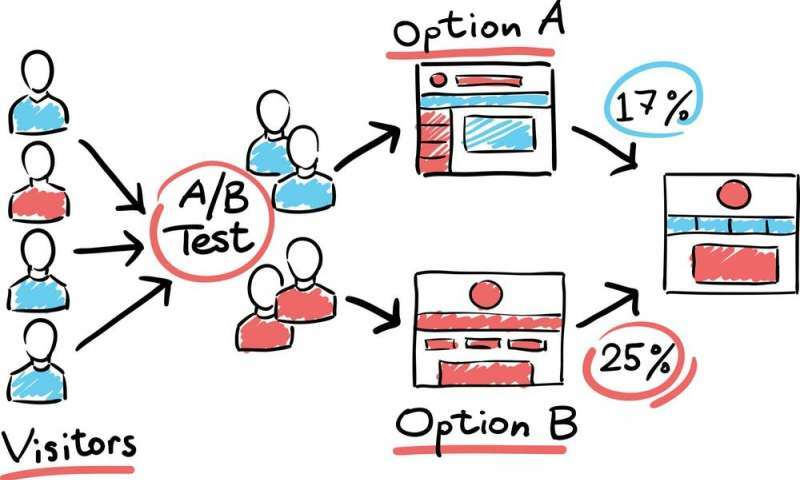 It's not always a smooth ride, but the power of A/B testing is here to stay.